Everyone will be in love with your new kicks wearing the LOVE Moschino® Canvas Espadrille w/ Hearts. 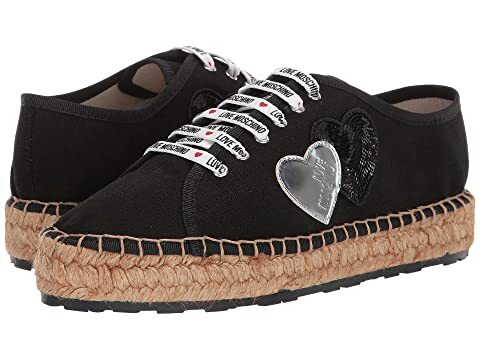 We can't currently find any similar items for the Canvas Espadrille w/ Hearts by LOVE Moschino. Sorry!